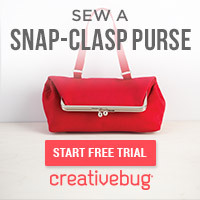 Check the post on the Hey Mercedes Sew Along for a fabric discount and a deal on the Windy City Bags book. 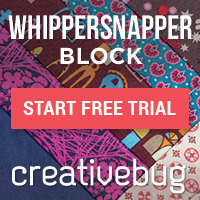 Have you tried creativebug? 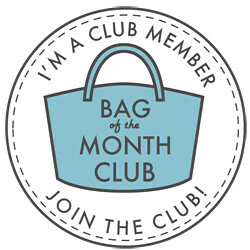 Just one price for unlimited access to classes all month! Start your free trial today! 10% off all designer cottons! There are so many beautiful prints by Michael Miller, Robert Kaufman, Riley Blake, Tula Pink, Timeless Treasures, etc. Perfect time to stock up! Use code designer10 at checkout. I reviewed Sara Lawson's Building Better Bags Craftsy Class and have a discount to offer. Read the review for the special discount link.